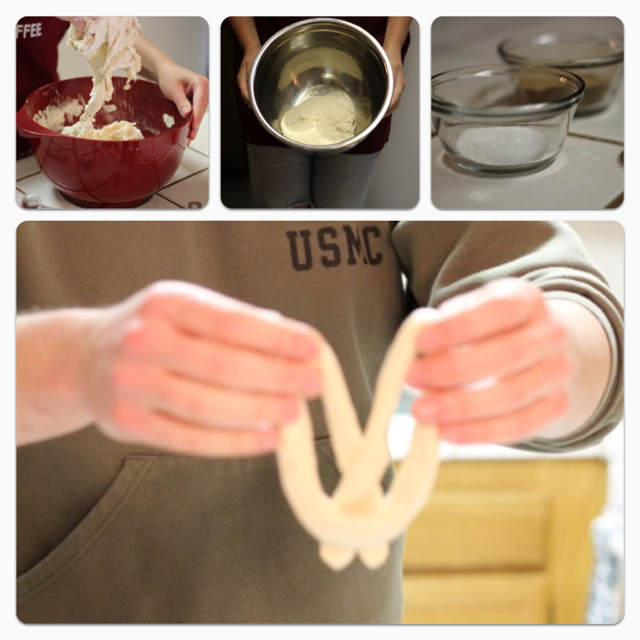 I've always loved hot pretzels but I never even knew you could make them at home! Lest you have unrealistic expectations, they aren't as good as Auntie Annes, but then again they are also not drenched in butter! Kyle and I had so much fun trying out this recipe, and I hope you'll try it too! I'd recommend having something else to do while you wait, like have netflix on standby, because there is a bunch of waiting time. But trust me, your house will smell amazing and these will be a great reward for your patience! We made some cinnamon and sugar and some just sea salt. We both decided we liked the sea salt the best. Such a fun stay-in date night!